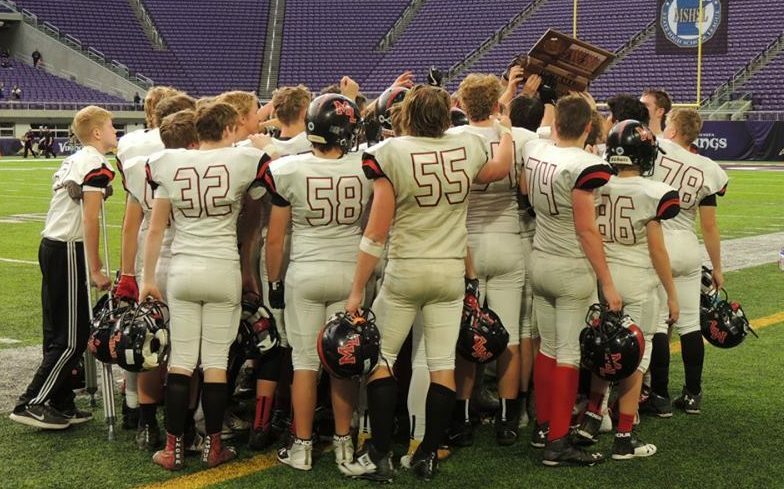 The Crusader Football team finished the year in the Class A semifinal game at US Bank Stadium with a loss to the Minneota Vikings by a score of 54 to 21. It was only their second loss of the season as they finished with a record of 13-2. Minneota, who has been to the championship game 3 out of the last 4 years, was able to limit the Crusaders offense to 23 rushing yards and 189 passing yards. They will play Wabasso in the Class A championship game on Saturday, November 25 at US Bank Stadium. 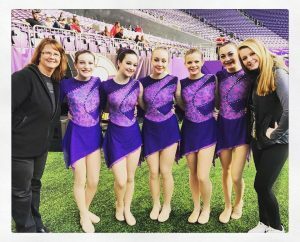 The football team was not the only team on the field Saturday, as the Mayer Lutheran-Watertown dance team performed at halftime! Despite the loss, the Crusaders had one of their best seasons, advancing to its first state semifinal game. Congratulations to Coach Aurich, all the coaches, and the players for a great season!